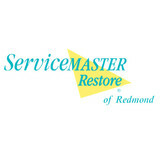 Since opening our doors for business back in 1994, owners Connie and Jay Olsen have worked hard to make sure that ServiceMaster Restore of Redmond is committed to serving our community. Connie and Jay are long-time residents of the Redmond, WA, area. Our business is located in Redmond, Washington and many of our staff are local residents. As proud members of our community, we are dedicated to giving back to the people and businesses that have supported us for the past 22 years. We are excited about participating in and contributing to local associations and causes. We are members of the Redmond Chamber of Commerce, Seattle Chamber of Commerce, Master Builders Association of King and Snohomish County (MBA), Community Associations Institute (CAI), Washington Multi-Family Housing Association (WMFHA), and the National Association of Residential Property Managers (NARPM). Through these fine organizations we have enjoyed participating in events such as Ramp-a-thon, Painting for a Better Tomorrow, and Toys for Tots – and we look forward to many more events to come. Service is not just part of our name, but a large part of our company’s culture. Our entire management team and all of our skilled technicians take pride in providing unparalleled customer service combined with the highest level of integrity, no matter how big or small the job. Whether we are helping you to rebuild your home or business after extensive water or fire damage, or we're simply cleaning your carpets, you can expect friendly, professional and courteous service. We have a commitment to get the job done right the first time and to treat you as if you were family. That is our promise to you. We are also very proud to be a QRV (Quality Restoration Vendor) certified franchise. This distinction shows our commitment to quality workmanship, superior customer service, and to maintaining our reputation as a leader in the disaster restoration industry. All of our technicians are certified by The Clean Trust (formally known as the IICRC). Our franchise has received national recognition for our excellence in service and level of expertise from the ServiceMaster Clean network of franchises. We view each job as an opportunity to grow and learn. We believe it is important to be constantly learning to gain new knowledge that we can share with our customers. 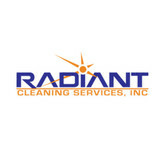 Radiant Cleaning Services, Inc. is a privately owned commercial and residential cleaning service, our main priority is our customers. We continuously strive to provide outstanding service and value. Our customers constantly rate our service highly and many recommend us to acquaintances. Here are just few benefits of depending on Radiant Cleaning Services for your residential and commercial cleaning. Most of our customers hire professional carpet cleaning at least once or twice in a year. We understand that they prefer quality service and that’s why our technicians give you the cleanest, healthiest and reliable professional carpet cleaning. We are licensed to provide cleaning service and we also offer liability insurance to our clients. This not only guarantees quality service to our clients but also gives them peace of mind knowing that their property is in safe hands. We follow a 12 step process to ensure we provide the best service to every client. Clean & Fresh Carpet Care is a carpet and upholstery steam cleaning company serving the Eastside and Greater Seattle area. We are dedicated to delivering excellent services at affordable prices. It's not just our prices though! Once you've experienced our service, we're confident you'll join our other clients as repeat customers and refer us to your friends and family. Our mission is to give each and every customer the most outstanding experience they’ve ever had while also giving them the absolute healthiest home they’ve ever had. ORCA Group Northwest was founded by Joshua McKeown in April 2016 and has grown to serve the greater Seattle area. What is most important to you when a carpet cleaner visits your home? For most it is the comfort of trust. We want each customer to be pleased not just with our end product but even more importantly we want you to feel that you have received the professionalism you deserve. At ORCA we place our emphasis on building that feeling of trust and professionalism from start to finish. We know that you highly value punctuality, that is why we strive to have open communication and Image result for baby with dog on carpet planning with you from early on. We value quality over quantity, that is why if something needs that extra attention we won’t cut corners to save time or money, we will give you and your home the extra attention it deserves. You and the comfort of your home are important to us. We look forward to providing you with the greatest of experiences in professionalism AND giving you the extra clean carpets that your home deserves. Established in 2007, Go Green/One Stop Cleaning Company was years in the making. 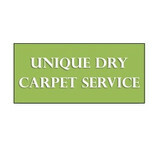 Owner Brent Dill, started in the carpet cleaning industry mid 1999 working for a high quality company. The benefits from doing 10,000+ homes and businesses over the years can be seen in all aspects of what makes Go Green/One Stop Cleaning Company services great. Brent is not just the owner of Go Green/One Stop Cleaning Company, he is also one of his own best customers. Having 3 small kids, 2 cats and a dog named JD, he has seen it all. From the mystery stains, dog accidents, tracked in soil and so on, we can help you with your types of soiling as well. Living will bring it in, we will take it out for you in the safest, most effective process the industry offers. We never have hidden charges, we are very transparent in how we operate. From our easy per room pricing to our industry leading 30 Day Guarantee. We don't do any high pressure sales, you have complete control of how your cleaning is done. Best part is you don't have to pay tax because it's considered an in home service. We understand there are a lot of companies out there to choose from, many we can actually recommend and respect. We offer our own little slice of heaven for anyone that needs our assistants. 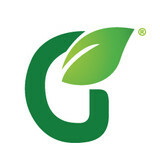 At Go Green/One Stop Cleaning Company we will always show the up most respect for you, your family and your home. When you choose Dry Connection Carpet and Upholstery Cleaning Service you will work with a company that believes in honesty, a strong work ethic, professionalism and providing complete customer satisfaction on every job. Our technicians are experienced, expertly trained, detail-oriented, certified and use state-of-the-art equipment and cleaning products. Our company is fully-licensed, bonded, and insured. A’ Thoroughbred Carpet Cleaning of Kenmore, WA provides quality residential carpet cleaning services. Our carpet cleaning company specializes in quality cleaning for all types of carpeting. Specializing in expert upholstery cleaning, our trained professionals take pride in providing quality workmanship for each customer. We focus on providing superior soil and stain removal, including removal of difficult pet stains and odors. We provide expert steam cleaning services for homes and businesses, with no job too large or too small. Our professional steam cleaning provides thorough cleaning for all types of carpets, and will leave your carpeting fresh and clean. We offer professional cleaning for fine area rugs, and provide the finest carpet and rug cleaning for all businesses and homes. We are licensed and insured and offer 100% satisfaction guaranteed on all workmanship, and invite you to join our long list of satisfied customers. At Evergreen Chem-Dry, we understand that when you call a residential carpet cleaning company, you're looking for more than just a basic carpet cleaning that removes the top level of dirt. You're looking for a carpet cleaning company you can trust to get out the tough, deep-down grime in your carpets, that has a safe and healthy process and that will give you the peace of mind of having a truly clean, refreshed, healthy home. EverClean Northwest is Seattle’s area leader in home and commercial carpet, upholstery, and hard surface cleaning and restoration. For more than 25 years, the ownership of ECNW has been involved in virtually every aspect of the cleaning and restoration field. With that level of commitment to our industry through experience, continued education, and utilization of industry advancements in products and state of the art technology, we have clearly separated ourselves from the competition. We provide our customers with a truly unique level of cleaning expertise, the highest quality workmanship with attention to detail, and an unparalleled customer service experience!